ethical aspects of the business. It is something that organizations can’t compromise on if they don’t want to risk a complete business failure. Despite regular reiteration of all state and federal compliance guidelines and audits, organizations fail to be compliant with the latest regulations and research indicates that compliance lawsuits have increased tremendously over the past few years. A recent example is of Barclays Capital Inc., who was charged by The U.S. Securities and Exchange Commission for failing to build adequate compliance systems after the firm acquired Lehman Brothers' advisory business in 2008. It resulted in overcharges and client losses of $472,000, for Barclays. Even companies who have a proper compliance methodology get caught in the midst of changing the regulated environment, new compliance measures, etc. 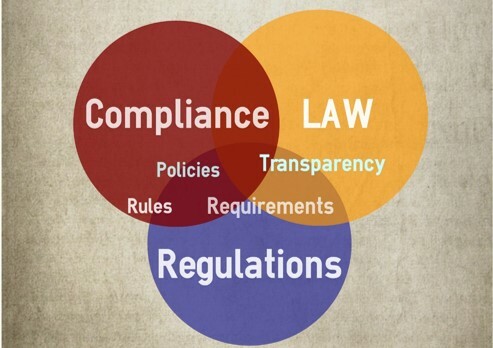 At times, they focus on one area of a compliance program more while sidelining other elements. Or, they are still following the outdated compliance policies and technology at the organization. Let’s look at ways through which organizations can develop a compliance culture and be prepared for compliance audits. Leadership Focus: If the leaders own and support ethical, compliance measures, it is going to trickle down in the organization in the same way. Senior executives should be the role models for employees to build a strong compliance culture at every level of an organization. It is important to show and communicate that leaders are committed to compliance measures and the company will not negotiate on its compliance program in any way. Identification of Risk Areas: It is important for an organization to identify and evaluate all risk areas that relate to its core business. They also need to identify and abide by workforce rights and regulations pertinent to them to save themselves from an employment lawsuit. Organizations must create a complete checklist of risk areas to create the right compliance strategies and measures. It is also important to evaluate them in order to put the right focus on different areas. Communication and Training: Compliance policies and regulations must be effectively communicated to employees along with the right training and technology. Organizations should ensure that there is a proper communication between the compliance team and employees. Training should be done in a systematic, centralized and seamless way with a proper reporting and monitoring structure. If there is a need to customize the training courses for different functions at the organization, the compliance team should be ready to provide that. Review and Monitoring: A compliance program should be reviewed on a recurring basis to catch any breaches or potential lapses. Regular review and monitoring would provide an opportunity to discover compliance failures, issues before it becomes uncontrollable. The compliance team should work along with the leadership team to take the right measures to stop such lapses take place in future. A regular report to leadership team also ensures their ongoing attention and commitment to compliance programs. A compliance training report can also act as a proof during a compliance audit. To build a robust compliance program, it is necessary to invest in the right technology, processes, and systems. Organizations should look for a Learning Management Systems (LMS), which can help them communicate, monitor as well as report on their compliance programs. LMS will also help in automation of certain processes, which will avoid lapses and manual failures.